Flat irons have been becoming very popular over the years. A lot of girls use them to perfect their hair, and of course, I was one of them. I started straightening my hair when I was around 11 or 12. My hair is naturally very curly, but I needed all those curls to go away in order for me to feel good and happy. So, I began getting up really early in the morning before school and waited for my flat iron to heat up, which took around 20 minutes. The flat iron I used wasn't the best. It took so long to heat up and it wasn't even worth it because by the end of the day, my hair would go completely frizzy - back to its original state. I was washing my hair every day (still do!) which also makes it very dry. When I was almost 13, my mom agreed on getting me a brand new, better flat iron. This one was supposed to still keep the moisture in my hair. It changed my hair drastically, though I don't know if the change was good or bad. I was using it on the maximum heat, yet it made my hair incredibly silky. I was straightening it every single day and the straightness didn't fade away into curls. My mom noticed the difference and was pleased. But over time, my hair started getting a lot worse, worse even than before. I started examining my ends, and I saw each individual hair was completely split. I didn't tell my mom about it, but she had noticed it getting worse. I also got scared because I started seeing a lot of loose hairs on the sink after brushing it. I realized I was losing hair! At this point, I was terrified. My mom had told me to cut my hair to get rid of all the split ends, but my hair was already above my shoulders and I was scared to have it any shorter. Even though I knew what was going on I still straightened it. I just couldn't stop - it was an addiction. I was even trying to use some products to make my hair healthier, but they couldn't compete with the flat iron. After about two more months, I started straightening it less and less, and I felt so proud of myself! My hair was becoming so volumised and alive! This also had to do with the product I was using which did absolute wonders for my hair. 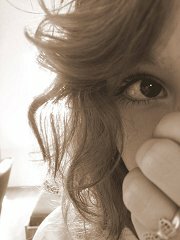 Sadly though, my natural curls had faded away a bit, and now my hair was just wavy. Even though I wanted the curls gone, now that they are, I regret it so much. 1. Always trim your hair at least once a month or two months. This will help to keep the hair growing. 2. Don't straighten it (or curl it)! Well, at least not every day like I did. Maybe on special occasions. And if you do, get a ceramic flat iron (or curling iron) that will hopefully keep the moisture in your hair. 3. Use products! 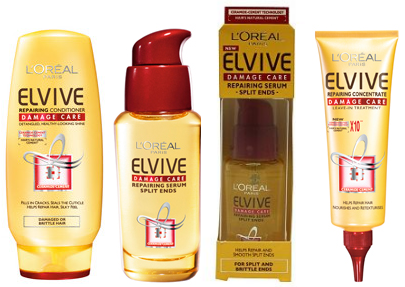 My favorite one is L'Oreal Paris Elvive Damage Care. It did absolute wonders on my hair. Use it every time after washing your hair.